[ A ]AbatementReduction or removal of a contaminant.Absolute HumidityIt is the ratio of the mass of water vapor to the unit volume of moist air represented in grams per cubic foot (g/ft3).Absolute ZeroTemperature at which all molecular motion ceases (-460 F. and -273 C.).Absorption RefrigeratorRefrigerator which creates low temperature by using the cooling effect formed when a refrigerant is absorbed by chemical substance.ACCAAir Conditioning Contractors of America – a leading HVAC/R Association.Acceptable indoor air qualityIndoor air that does not contain harmful concentrations of contaminants; air with which at least 80% of building occupants do not express dissatisfaction.AccumulatorStorage tank which receives liquid refrigerant from evaporator and prevents it from flowing into suction line before vaporizing. Tank on the suction side of a system that holds excess refrigerant to prevent slugging the compressor with liquid.ACHAir Changes Per Hour. The number of times that air in a house is completely replaced with outdoor air in one hour.Acid Condition In SystemCondition in which refrigerant or oil in system is mixed with fluids that are acid in nature.ACR TubingTubing used in air conditioning and refrigeration. Ends are sealed to keep tubing clean and dry.Activated CarbonSpecially processed carbon used as a filter drier ; commonly used to clean air.ActuatorThat portion of a regulating valve which converts mechanical fluid, thermal energy or electrical energy into mechanical motion to open or close the valve seats.Adiabatic CompressionCompressing refrigerant gas without removing or adding heat.Adjustable GrilleA grille with linear blades which can be adjusted to vary the direction of the discharged air. The linear blades are normally either vertical or horizontal, or both horizontal and vertical.AdsorbentSubstance with the property to hold molecules of fluids without causing a chemical or physical damage.AerationAct of combining substance with air.AFLU (Annual Fuel Utilization Efficiency)A rating that reflects the efficiency of a gas furnace in converting fuel to energy. A rating of 90 means that approximately 90% of the fuel is utilized to provide warmth to your home, while the remaining 10% escapes as exhaust.AFUE (Annual Fuel Utilization Efficiency)This number represents how efficiently a furnace converts fuel to energy. The ratio of annual output of useful energy or heat to the annual energy input to the furnace. The higher the AFUE, the more efficient the furnace — higher efficiency translates to more savings on fuel bills. This will range from 80% to 95%. Percentage of fuel used for heating. A measure of heating efficiency, in consistent units, determined by applying the federal test method for furnaces. This value is intended to represent the ratio of heat transferred to the conditioned space by the fuel energy supplied over one year.Air ConditionerDevice used to control temperature, humidity, cleanliness and movement of air in a confined space.Air ConditioningControl of the temperature, humidity, air movement and cleaning of air in a confined space.Air DiffuserAir distribution outlet or grille designed to direct airflow into desired patterns.Air Exchange RateThe rate at which outside air replaces indoor air in a space. Expressed in one of two ways: the number of changes of outside air per unit of time in air changes per hour (ACH); or the rate at which a volume of outside air enters per unit of time – cubic feet per minute (cfm).Air HandlerThe portion of the central air conditioning or heat pump system that moves heated or cooled air throughout a home’s ductwork. In some systems a furnace handles this function.Allergens and PathogensBiological material, including bacteria, viruses, fungi, mold spores, pollens, skin flakes and insect parts are ubiquitous in indoor environments. These particulates range from less than one to several microns in size. When airborne, they are usually attached to dust particulates of various sizes so that all sizes of airborne particulates may include them.AmbientThe surrounding atmosphere; encompassing on all sides; the environment surrounding a body but undisturbed or unaffected by it.Ambient AirThe air surrounding a building; outside air.Ambient Air TemperatureSurrounding temperature, such as the outdoor air temperature around a building.Ampere (A or Amp)The primary unit of measurement of electrical current. Amps multiplied by Volts determines Watts. Electricity bills are based on watts or kilowatts (a thousand watts) per hour.ARIAir-Conditioning and Refrigeration Institute is a nonprofit, voluntary organization comprised of heating,air conditioning and refrigeration manufacturers. ARI publishes standards for testing and rating heat pumps and air conditioners to provide you with a standardized measure of comparison. So, ARI ensures a level of performance within the industry.ASHRAEA leading HVAC/R Association – American Society of Heating, Refrigerating and Air Conditioning Engineers – http://www.ashrae.org/ The trade association that provides information and sets standards for the industry.ASTMAmerican Society for Testing and Materials. [ B ]Balance PointAn outdoor temperature, usually between 30° F and 45° F, at which a heat pump’s output exactly equals the heating needs of the home. Below the balance point, supplementary electric resistance heat is needed to maintain indoor comfort.BlowerAn air handling device for moving air in a distribution system.Boiling Point The temperature at which the addition of any heat will begin a change of state from a liquid to a vapor.BTU (British Thermal Unit)The standard of measurement used for measuring the amount of heat required to raise the temperature of one pound of water by one degree (Fahrenheit). BTUH – The number of BTUs in an hour.BTU/hrThe abbreviation for British thermal units per hour. The amount of heat required to raise one pound of water one degree fahrenheit per hour, a common measure of heat transfer rate.Building EnvelopeElements of the building, including all external building materials, windows, and walls, that enclose the internal space. [ C ]CapacityThe ability of a heating or cooling system to heat or cool a given amount of space. For heating, this is usually expressed in BTU’s. For cooling, it is usually given in tons.Central Air Conditioner SystemSystem in which air is treated at a central location and carried to and from the rooms by one or more fans and a system of ducts. Centrifugal CompressorA type of compressor used in vapor compression refrigeration cycles where a rotating impeller is the device which compresses the refrigerant vapor. The vapor is drawn into the impeller axially, and is discharged radially after energy is added to the vapor within the impeller.CFM (Cubic Feet per Minute)The abbreviation for cubic feet per minute, commonly used to measure the rate of air flow in an air conditioning system. ChargeAmount of refrigerant in a system. Comfort Air ConditioningComfort air conditioning systems are designed for the comfort of people, not the protection of computer-based electrical systems. Unlike people, computers generate dry (sensible) heat, but not humidity. Only about 60-70% of a comfort system’s total capacity is dedicated to the removal of sensible heat, while 30-40% is for dehumidification. With a large percentage of their total capacity devoted to the removal of moisture, comfort systems can lower room humidity far below acceptable standards. A larger comfort system is required to obtain the same sensible capacity as a precision cooling system. CompressorThe pump that moves the refrigerant from the indoor evaporator to the outdoor condenser and back to the evaporator again. The compressor is often called “the heart of the system” because it circulates the refrigerant through the loop. CondensationThe process by which a gas is changed into a liquid at constant temperature by heat removal. CondenserA device that transfers unwanted heat out of a refrigeration system to a medium (either air, water, or a combination of air and water) that absorbs the heat and transfers it to a disposal point. There are three types of condensers: air-cooled condensers, water-cooled condensers, and evaporative condensers. The evaporative condenser uses a combination of air and water as its condensing medium. Most residential systems have an air-cooled condenser. Condenser CoilA series or network of tubes filled with refrigerant, normally located outside the home, that removes heat from the hot, gaseous refrigerant so that the refrigerant becomes liquid again. Condensing UnitPart of a refrigerating mechanism which pumps vaporized refrigerant from the evaporator, compresses it, liquefies it in the condenser and returns it to the refrigerant control. The outdoor portion of a split system air conditioner contains the compressor and outdoor coil ignoring the reverse cycle operation, also the outdoor in a heat pump system. Cooling CapacityA measure of the ability of a unit to remove heat from an enclosed space. COP – Coefficient of Performance of a heat pump means the ratio of the rate of useful heat output delivered by the complete heat pump unit (exclusive of supplementary heating) to the corresponding rate of energy input, in consistent units and under operating conditions. Cooling LoadHeat which flows into a space from outdoors and/or indoors. [ E ]Electronic Air CleanerAn electronic device that filters out large particles and contaminants in indoor air. It then electronically pulls out tiny particles that have been magnetized, such as viruses and bacteria, drawing them to a collector plate. Emergency Heat (Supplemental or Auxillary Heat)The back-up heat built into a heat pump system. Energy Efficiency Ratio (EER)Means the ratio of the cooling capacity of the air conditioner in British Thermal Units per hour, to the total electrical input in watts under ARI-specified test conditions. EnthalpyHeat content or total heat, including both sensible and latent heat. The amount of heat contained in a refrigerant at any given temperature with reference to -40°F. EvaporatorAbsorbs heat from the surrounding air or liquid and moves it outside the refrigerated area by means of a refrigerant. It is also known as a cooling coil, blower coil, chilling unit or indoor coil. Evaporator CoilA series or network of tubes filled with refrigerant located inside the home that take heat and moisture out of indoor air as liquid refrigerant evaporates. [ F ]FilterA device used to remove dust and other particles from air for the purposes of reducing the load on the respiratory system and to protect the HVAC equipment. Filters vary greatly in particle arrestance; the higher the MERV rating, the better the filter. Five-Two-One (5-2-1 Compressor Saver)An electrical starting component that reduces air conditioner start-time by up to 50%. This helps lower energy bills and extend equipment life. Free DeliveryThere are no ducts and the unit may be installed in the field without ducts if needed. Ground-Source – The ground or soil below the frost line is being used as the heat source or heat sink for a heat pump. FreonA general term used to identify, any of a group of partially or completely halogenated simple hydrocarbons containing fluorine, chlorine or bromine, which are used as refrigerants. FurnaceThat part of an environmental system which converts gas, oil, electricity or other fuel into heat for distribution within a structure. [ G ]GeneratorIn an absorption cycle, the vessel in which the lithium bromide solution is reconcentrated by boiling off the previously absorbed water. Ground Water-SourceWater from an underground well is being used as the heat source or heat sink for a heat pump. Glycol-Cooled SystemA type of air conditioning system that uses freon as a refrigerant and a water/glycol solution as a condensing medium. Typically, the glycol-cooled condenser is located inside the air conditioner with the rest of the refrigeration components. Water/glycol is piped to the unit from a drycooler or other suitable source. The glycol keeps the solution from freezing during winter operation. [ I ]ICE 22A premium, synthetic air conditioner oil that improves heat transfer capability and reduces wear and tear. Air conditioning systems produce cooler air, use less energy and last longer.Indoor UnitThis is usually located inside the house and contains the indoor coil, fan, motor, and filtering device, sometimes called the air handler. Indoor CoilRefrigerant containing portion of a fan coil unit similar to a car radiator, typically made of several rows of copper tubing with aluminum fins. InsulationAny material that slows down the transfer of heat. Integrally Controlled Motor (ICM)A variable-speed motor that operates at low RPM when possible for efficiency and quiet operation. ICM motors are more than 90% efficient versus 60% efficiency for conventional motors. [ J ]JouleA unit of work or energy. It takes ~ 1,000 joules to equal a British thermal unit. It typically takes ~ 1 million joules to make a pot of coffee. [ K ]Kilowatt (kW)Equal to 1,000 watts. Kilowatt-hour (kWh) – A common unit of electrical consumption measured by the total energy created by one kilowatt in one hour. kWh (kilowatt hour)A kilowatt hour (kWh) is the amount of kilowatts of electricity used in one hour of operation of any equipment. The most commonly-used unit of measure telling the amount of electricity consumed over time. It means one kilowatt of electricity supplied for one hour. It is the basis for your electricity rate. [ L ]Latent Cooling CapacityAn A/C system’s capability to remove moisture from the air. Latent HeatThe heat energy needed to change the state of a substance (i.e. : from a liquid to a gas) but not it’s temperature. LCDAn abbreviation for a screen type – Liquid Crystal Display. Load CalculationA mathematical design tool used to determine the heat gain and heat loss in a building so that properly sized air conditioning and heating equipment may be installed. [ M ]Manual DManual D is the ACCA method for designing duct systems. Contractors often find it a laborious process and most duct systems are just installed, not designed. The amount of time necessary to design a duct system is certainly warranted in tract construction where the design is used repeatedly and for custom homes where the total cost of the home warrants a proper design. In short, designing a duct system is essential for proper equipment performance and customer comfort. Manual JManual J is a widely accepted method of calculating the sensible and latent cooling (and heating) loads under design conditions. It was jointly developed by the Air Conditioning Contractors of America (ACCA) and the Air-Conditioning and Refrigeration Institute (ARI).Manual SManual S is the ACCA method of selecting air conditioning equipment to meet the design loads. It ensures that both the sensible capacity and the latent capacity of the selected equipment will be adequate to meet the cooling load. Matched SystemA heating and cooling system comprised of products that have been certified to perform at promised comfort and efficiency when used together, and used according to design and engineering specifications. MildewA superficial covering of organic surfaces with fungi under damp conditions. MoldA fungal infestation that causes disintegration of a substance. Molds are a group of organisms that belong to the kingdom Fungi. In this document, the terms fungi and mold are used interchangeably. There are over 20,000 species of mold. [ N ]Natural-Draft FurnaceA furnace in which the natural flow of air from around the furnace provides the air to support combustion. It also depends on the pressure created by the heat in the flue gases to force them out through the vent system. Negative PressureCondition that exists when less air is supplied to a space than is exhausted from the space, so the air pressure within that space is less than that in surrounding areas. Under this condition, if an opening exists, air will flow from surrounding areas into the negatively pressurized space. [ O ]OhmA unit of measure of electrical resistance. One volt can produce a current of one ampere through a resistance of one ohm. Original Equipment Manufacturer (OEM)Refers to the manufacturers of complete vehicles or heavy¬duty engines, as contrasted with remanufacturers, converters, retrofitters, up-fitters, and repowering or rebuilding contractors who are overhauling engines, adapting or converting vehicles or engines obtained from the OEMs, or exchanging or rebuilding engines in existing vehicles. Operating CostThe day-to-day cost of running your home comfort equipment, based on daily energy use. Outdoor Coil/Condensing UnitThe portion of a heat pump or central air conditioning system that is located outside the home and functions as a heat transfer point for collecting heat from and dispelling heat to the outside air. Ozone(03) A kind of oxygen that has three atoms per molecule instead of the usual two. Ozone is a poisonous gas, but the ozone layer in the upper atmosphere shields life on earth from deadly ultraviolet radiation from space. The molecule contains three oxygen atoms (O3). a highly reactive form of oxygen. Ozone exposure an result in mucous membrane irritation and potential pulmonary damage. Some copier machines and laser printers emit noticeable levels. Ozone GeneratorAn air cleaning device that produces highly reactive ozone, which reacts with volatile organic compounds to form non hazardous products, remove particulates, and reduce the number of biocontaminants. These devices are controversial because their touted benefits may only be accomplished at ozone levels above recommended exposure levels. [ P ]Package SystemA piece of air conditioning and heating equipment where all components are located in one cabinet. Used occasionally in residential applications, the package unit is installed either beside or on top of the home. Packaged UnitA self-contained heating and/or air conditioning system. PlenumAir compartment connected to a duct or ducts. Air flow passage made of duct board, metal, drywall, or wood. Joins supply and return ducts with HVAC equipment. The portions of the air distribution system that makes use of the building structure, and the sheet meal that connects distribution ductwork to an air handling unit. Many buildings use the space above a dropped ceiling as a plenum. Precision Air ConditioningPrecision A/C systems are primarily designed for cooling electronic equipment, rather than people. These pre-packaged systems offer excellent reliability and typically have a high ratio of sensible-to-total cooling capacity and a high CFM/ton ratio. Preventive MaintenanceA program of building maintenance implemented to reduce the possibility of problems, usually through periodic inspection, cleaning, adjustment. calibration. and replacement of functioning, parts of the HVAC system, as well as housekeeping practices to reduce the buildup of potential contaminants. Primarily done on a building’s mechanical systems, this involves a regular and systematic inspection, cleaning, and replacement of worn parts, materials, and systems. Preventive maintenance helps to prevent parts, material, and systems failure by ensuring that parts, materials and systems are in good working order. [ Q ] [ R ]Radiant BarrierA device designed to reduce or stop the flow of radiant energy. RefrigerantA substance that produces a refrigerating effect while expanding or vaporizing. Refrigerant LinesSet of two copper lines connecting the outdoor unit and the indoor unit. RegisterCombination grille and damper assembly covering an air opening or end of an air duct. Relative HumidityThe ratio of the amount of vapor contained in the air to the greatest amount the air could hold at that temperature. Normally expressed as a percentage. Return AirAir drawn into a heating unit after having been circulated from the heater’s output supply to a room. Reversing ValveA device in a heat pump that reverses the flow of refrigerant as the system is switched from cooling to heating. [ S ]SEER (Seasonal Energy Efficiency Ratio)A rating that denotes the efficiency of air conditioning equipment. It is the amount of cooling your equipment delivers for every dollar spent on electricity. It is the ratio of cooling delivered by a system, measured in BTUs, to the dollar cost of the electricity to run the system, as measured in watt-hours. This ratio is determined using specified federal test procedures. The higher the SEER, the more efficient the unit. The more efficient the unit, the lower the operating cost. Sensible Cooling CapacityAn A/C system’s capability to remove heat from the air.Sensible HeatHeat energy that causes a rise or fall in the temperature of a gas, liquid or solid when added or removed from that material. Sensible heat changes the temperature by changing the speed at which the molecules move. Split SystemA central air conditioner consisting of two or more major components. 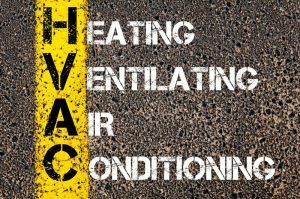 The system usually consists of a compressor-containing unit and condenser, installed outside the building and a non-compressor – containing air handling unit installed within the building. This is the most common type of system installed in a home. Supercooled LiquidLiquid refrigerant cooled below its saturation point. SubcoolerThis is a section of some condensers in which the temperature of the condensed refrigerant liquid is reduced. This improves the energy efficiency of the chiller. SubcoolingCreating a drop in temperature by removing sensible heat from a refrigerant liquid. Superheated VaporRefrigerant vapor heated beyond its saturation point. SuperheatingCreating a rise in temperature by adding heat energy to a refrigeration vapor. SwitchoverA device in a heat pump that reverses the flow of refrigerant as the system is switched from cooling to heating. [ T ]TemperatureThe measure of the intensity of heat that a substance possesses. ThermidistatHighly sophisticated programmable thermostat that senses the outdoor temperature, indoor air temperature, and indoor relative humidity. A microprocessor communicates with the heating and cooling equipment to determine the most efficient way to achieve perfect comfort. When used with a variable speed blower motor, this cite can reduce humidity even when cooling isn’t necessary (as when the indoor temperature is 70 degrees but relative humidity is high, eg, when it’s raining). ThermostatA temperature control device, typically found on a wall inside that consists of a series of sensors and relays that monitor and control the functions of a heating and cooling system. TonnageThe unit of measure used in air conditioning to describe the cooling capacity of a system. One ton of cooling is based on the amount of heat needed to melt one ton (2000 lbs.) of ice in a 24 hour period. One ton of cooling is equal to 12,000 Btu/hr. [ U ]Unconditioned SpaceA space that is neither directly nor indirectly conditioned space, which can be isolated from conditioned space by partitions and/or closeable doors. UpflowA type of air conditioning system that discharges air into the conditioned space via a top-mounted discharge plenum or through an overhead duct system. Upflow FurnaceA furnace that pulls return air in from the bottom and expels warm air from the top. Urea Formaldehyde Foam Insulation (UFFI)A form of insulation no longer in use because of excessive formaldehyde emissions and documented associated health impacts. [ V ]Vacuum PumpA pump used to remove air and moisture from a refrigeration system at a pressure below atmospheric pressure. VentilationThe process of supplying or removing air, by natural or mechanical means, to or from any space. Such air may or may not have been conditioned. Volatile Organic CompoundsOne of a class of chemical compounds; indoor sources include tobacco smoke, building products, furnishings, cleaning materials, solvents, and office supplies. In sufficient quantities, VOCs can cause eye, nose, and throat irritations; dizziness; and headaches. Some VOCs are suspected carcinogens. Data for health effects resulting, from exposure to the characteristically low levels of VOCs in the indoor environment are scarce. Compounds that vaporize (become a gas) at room temperature. Common sources which may emit VOCs into indoor air include housekeeping and maintenance products, and building and furnishing materials. In sufficient quantities, VOCs can cause eye, nose, and throat irritations, headaches, dizziness, visual disorders, memory impairment; some are known to cause cancer in animals; some are suspected of causing, or are known to cause, cancer in humans. VoltA unit of electromotive force. It is the amount of force required to drive a steady current of one ampere through a resistance of one ohm. Electrical systems of most homes and office have 120 volts. Air conditioning systems are typically 240 volts. [ W ]Water Cooled SystemA type of air conditioning system that uses freon as a refrigerant and water as a condensing medium. Typically, the water-cooled condenser is located inside the air conditioner with the rest of the refrigeration components. Water is piped to the unit from a cooling tower or other suitable source. Water SourceWater is being used as the heat source or heat sink for a heat pump. Sources of underground water are wells and sources of surface water are lakes, large ponds, and rivers. WattA watt is a unit of electricity. A unit of measure of electric power at a point in time, as capacity or demand. It is the rate of energy transfer equivalent to 1 ampere flowing under a pressure of 1 volt at unity power factor. One watt of power maintained over time is equal to one joule per second. Some Christmas tree lights use one watt. [ X ] [ Y ] [ Z ]Zone SystemA method of dividing a home into zones and enabling you to control the amount of comfort provided to each. ZoningThe practice of providing independent heating and/or cooling to different areas in a structure. Zoning typically utilizes a system controller, zoning dampers controlled by a thermostat in each zone, and a bypass damper to regulate static pressure in the supply duct.